Ms. Lekeya Foston of 3451 Ohara Drive North, Macon, Georgia passed away on Saturday, January 12, 2019 at her residence. Funeral services were held on Friday, January 18, 2019 at 1:00 PM from the Second Macedonia Baptist Church, Milledgeville, Georgia. Interment was held in Scenic Memorial Gardens, Milledgeville, Georgia. 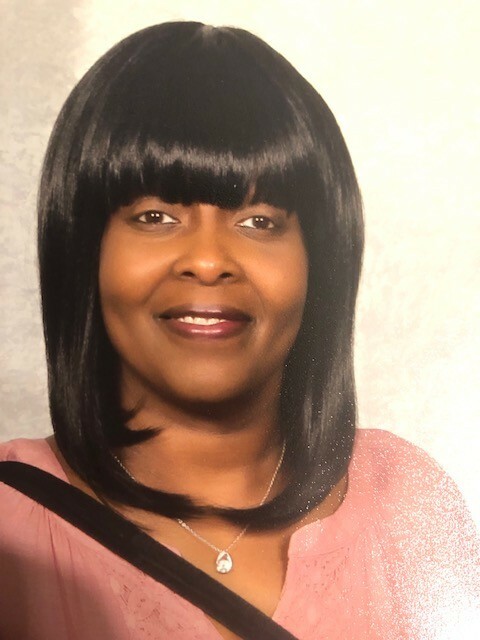 Lekeya Rayshon Foston, 41 of Macon, Ga gained her wings January 12, 2019. She was the proud daughter of Mary Liggins and James Foston of Macon and Milledgeville, Ga. She was also the amazing sister of Ricky, Larry and Keith Liggins. As well as Petula Hosley, James Foston Jr. and Letoya Harper- Reeves. Super hero aunt and a Great aunt, but above all, she was the warrior mother of Kierstin, Ja’Kierria and Kiernasia Foston. Ms. Foston dedicated her life to helping those around her. Her life was the epitome of service and she grounded herself in the field of nursing for 23 years. She filled her role as a Registered Nurse and with her striking attribute of perseverance, she pushed. Even with her advanced heart failure, she worked and studied hard over three years. Finally, with the strength of her gracious Lord, she was able to receive her Nurse Practitioner’s license, the second highest rank up under a Doctor. Ms. Foston dedicated her life to help those in need. She worked tirelessly and selflessly at the Coliseum of Macon, Ga in the ICU to help the sick and shut in along with their families. Even with her LVAD, she inspired her fellow LVAD Warriors and helped them see through. She was golden and made sure to be a vessel of hope for her fellow warriors and helped them along their journey mentally and physically. She was a member of Second Macedonia Baptist Church of Milledgeville, Ga and A leading and God- fearing woman, indeed. She was as royal as her favorite color, passionate as her career field, strong as the God she believed in and as fierce as the Black Panther she identified with. Ms. Lekeya Foston lived her life to the fullest and still remembered to give it all to God. She fought her heart failure battle until the end. God granted her six extra years to celebrate with her family and finally gave her, her beautiful wings. January 12th may have changed our lives, but Ms. Lekeya would want us to seek comfort in the Lord because that is where she is. To know Ms. Lekeya Foston was to love her and to love her, you know she wants to leave you with this: Do not mourn for me, know that the Lord is my Shepard and I shall not want. She wants us to know and remember when we think of her name, that she dwells in the house of the Lord forever and ever.